Airports are terrific natural monopolies that provide investors and regulators with some interesting challenges and opportunities. This article looks at two listed securities in our investment universe and sets out the key factors and valuation metrics that we consider when choosing between them. Located just 8km from Sydney’s Central Business District, Sydney Airport is the international gateway to Australia, handling 40% of all the country’s international traffic. Sold by the Commonwealth Government in 2002, it became the seed investment for the ASX-listed Macquarie Airports Group which went on to build a portfolio of airport assets and then subsequently sell down everything except Sydney Airport. As host for the 2000 Olympic Games, Sydney Airport was the beneficiary of substantial capital expenditure prior to the sale transaction, which has facilitated an extended period of traffic growth. In the 2000 calendar year, total passenger movements were under 24 million. This has risen to over 44 million in the 2018 year. With its three-runway configuration, total capacity is currently estimated at approximately 72 million passenger movements. While passenger figures indicate a skew towards domestic travel, the higher spend per passenger for the international traveller, particularly in duty free, results in international passengers delivering over 70% of SYD’s total revenue. With over 70% of international visitors coming to, and from, New Zealand via Auckland International Airport, and serving 30 airline partners, this asset is enormously important to the New Zealand economy. Listed in 1998 when the New Zealand Government sold down its holding, the single biggest investor is Auckland Council Investments Limited, with just over 22% of the share register. Located 21km south of the Auckland CBD, the airport currently has a single runway configuration. A second runway is part of the company’s masterplan to facilitate an anticipated 40 million passenger movements a year by 2044. Total passenger movements in the year to June 2018 was 20.5 million. Both stocks operate in a ‘dual till’ configuration whereby aeronautical activities are separated from non-aeronautical activities like retail and car parking. However, Auckland’s returns from its aeronautical activities are regulated by the New Zealand Commerce Commission while Sydney’s aeronautical returns are derived through negotiation with airline partners and are subject to light-handed regulatory reviews. Ultimately, AIA’s aeronautical returns are established with reference to the company’s cost of capital and stock specific empirical evidence. Capital spend, along with traffic growth assumptions are used as inputs into a pricing mechanism that determines the pricing levels required to derive the appropriate rate of return. While it is difficult to say with certainty which mechanism is best for which group of stakeholders, there is no doubt that the AIA system delivers substantially more clarity given the disclosure requirements of the regulated system. AIA’s regulated return environment is also arguably less risky, particularly in a prolonged weak environment, where pricing can be reset to re-establish the regulated return, whereas SYD would simply have to accept lower returns for longer. Non-aeronautical operations are not regulated at either airport and returns on capital have typically been higher as a result. When calculating the fair value for any property or infrastructure type asset, our primary valuation tool is a discounted cash flow model using forecasts for future revenues and costs. We cross-check this with simpler valuation metrics such as a ratio that compares the entity’s enterprise value (EV) to its operating earnings before interest, tax, depreciation and amortisation (EBITDA). EV is equal to the company’s net debt (debt less cash) plus the market value of all equity. Comparing stocks based on an EV:EBITDA methodology helps to strip out the distorting effect that different capital structures and accounting treatments can have and thus supports a more apples for apples comparison. Based on a comparison between the current EV and the last reported EBITDA for each airport, set out in the table below, SYD looks more attractive. Airports are capital intensive investments. While both airports have substantial capital expenditure plans, as a proportion of their current EV, AIA has a lot more money to spend than Sydney, because, among other things, AIA must build a second runway to meet its projected demand, whereas SYD will grow into the capacity provided by its three runways. Using announced capital expenditure plans over the next five years for both airports, the chart above shows our estimates of the ratio of debt to the earnings available to meet interest and principal repayments. AIA starts from a position of relative strength, with much lower levels of debt / earnings than SYD. However, as time marches forward, Sydney’s projected ratios improve, while Auckland’s deteriorate. This is largely a function of AIA’s bigger capital spend, in proportion to the size of its business. Whilst not without a plethora of problems, another sanity check might be to calculate the EV of each business per passenger movement. At the raw level, AIA looks marginally better value here too, but we would expect these metrics to swing back towards SYD as the capital expenditure program rolls out at Auckland. AIA is a profitable business and pays tax at the New Zealand corporate rate of 28%. SYD is also a profitable business but has substantial tax losses and is not expected to pay any meaningful tax until the mid-2020s, whereupon it will pay tax at 30%. Over the medium term, however, the key difference between an investment in SYD and an investment in AIA is that SYD dividends will ultimately have franking credits attached, whereas AIA dividends will not. While investment performance is typically measured and quoted in a pre-tax world, we are cognisant that the returns that really matter need to consider the impact of tax. 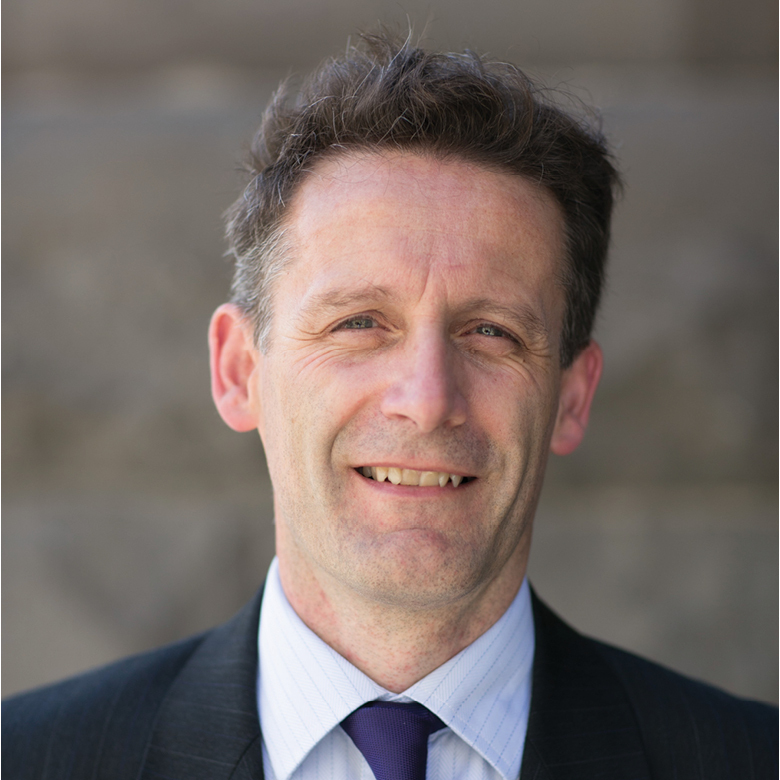 Putting aside any potential changes to the franking credit system in Australia, we fully value the impact of franking credits, and on this basis, AIA faces a big headwind. Following a significant amount of exploratory work, SYD chose not to exercise its option to develop Western Sydney Airport. We applaud the company for demonstrating financial discipline but now recognise that SYD will face competition from around 2026 when the new airport is due to open. While too early to be able to really forecast the economic impact, we continue to believe that SYD will manage this new environment well and a two-airport system can be developed for the benefit of all stakeholders. Both SYD and AIA offer unique and high-quality investment opportunities and we will continue to monitor both. 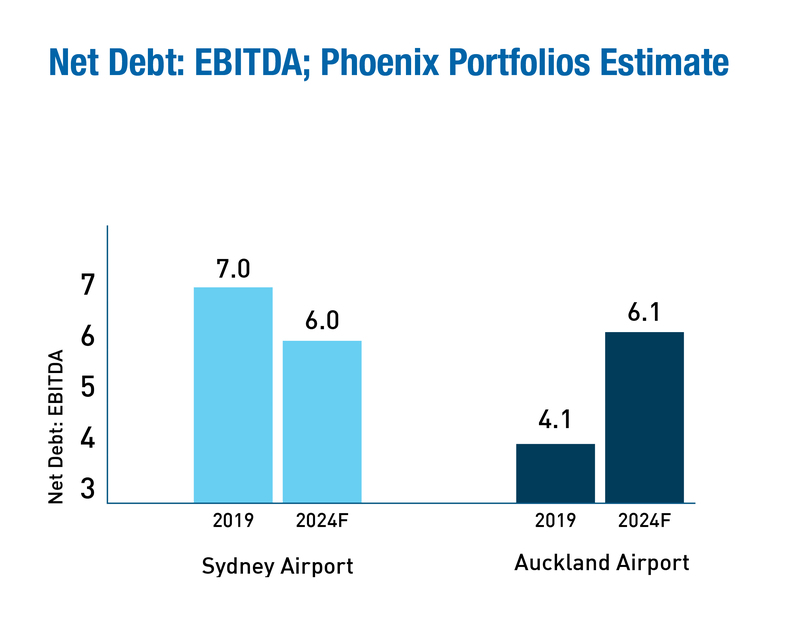 SYD appears cheaper on current pre-tax investment metrics and we are cognisant of both the positive and negatives around AIA’s regulated return environment and the substantial levels of capital expenditure associated with the aeronautical development program. Tax is an important issue and makes a big difference for Australian investors. Phoenix currently holds a position in SYD and currently no holding in AIA.